For the past 67 years a study has been run by the US National Institute of Health (NIH) and Boston University in a small town in Massachusetts, called Framingham. It started in 1948 studying the lifestyles of 5,209 people to try to find links between their lifestyles and Cardiovascular events. It is still running today, having signed up it’s most recent cohort in 2002. They are still tracking 100 participants from the original cohort who are still alive – the youngest is 95. One concrete benefit of this study is the creation of risk assessment tools. The most famous of these is the Hard Coronary Heart Disease Risk, which takes as input commonly assessed diagnostic factors (like your gender, age, Blood pressure, whether you take medication for blood pressure, HDL and Total Cholesterol, and whether you smoke) and it then spits out a number which tells you your risk of Hard Heart disease – also known as your Framingham risk score. Your Framingham risk score is a percentage. If you get a Framingham Risk score of say 12% what that means is, if you were to collect a room of 100 people with exactly the same diagnostic markers as you – then within the next 10 years at least 12 people in that room will have had at least one Heart Attack (including Fatal ones). The good news is you can change your risk score. If you change the factors that contribute to a higher risk, your score will go down. When I was first diagnosed with pre-Diabetes at 37, I was a smoker, my HDL cholesterol was below 40 mg/dL and my systolic BP was over 140. 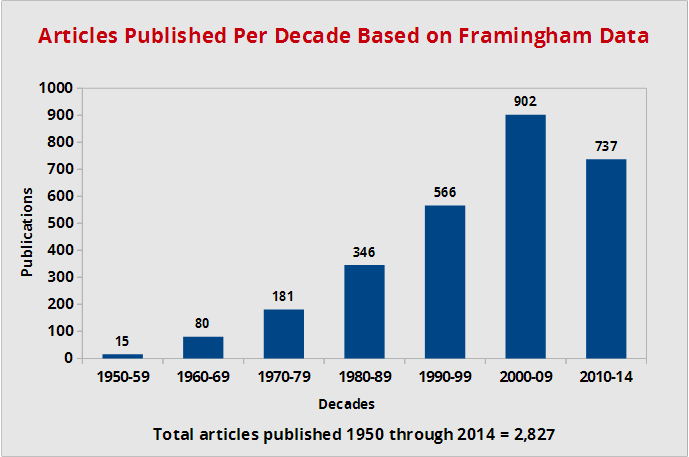 My Framingham Risk score at age 37 was greater than 30%. In other words, in a group of 100 people with the same factors, more than 30 of us would have had a heart attack within the next decade. Now at almost 50 years of age, my personal Framingham Risk Score is only 2% thanks to the fact that I gave up smoking 13 years ago, but also this Lo-Carb diet I started a year ago has drastically reduced my high blood pressure to low normal levels, and by eating more saturated fats (thanks to this diet) I have dramatically increased my HDL “Good Cholesterol” levels. So my personal Risk score has gone from a 1 in 3 chance of a heart attack in my 40s … to a massive 49 in 50 chance of not having one before I’m 60, thanks to a few simple interventions. That is an outstanding result. So what is your heart attack risk? You can find all the math at the FraminghamStudy.org website (Hard Coronary Heart Disease) but I have also cooked up a simple interactive application that will not only calculate your current FRS, it will show you what you can change and how much that would affect your risk score. You’ll need to get your Total Cholesterol and HDL numbers from your Doctor – most likely that was done at your last annual medical. You’ll also need to get the first number from your last Blood Pressure test (the Systolic BP value). Note: It uses US style units of measure for Cholesterol (mg/dL), instead of international units (mmol/l). I plan to add an automatic unit conversion in a subsequent version. I hope you find this heart attack risk calculator useful, and please feel free to share it around.